This colorful and elegant creature is one of the exhibits in Coex Aquarium in Seoul. The name of this graceful marine animal is lionfish. It is also known as mini scorpionfish because it belongs to scorpionfish family. Lionfish is a species of venomous marine fish. 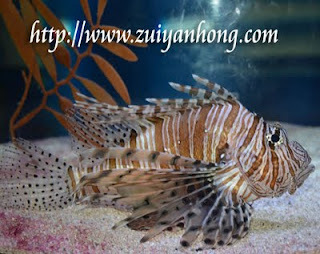 Normally, lionfish is found in Indian Ocean and Pacific Ocean. Coral reef regions seem to be the inhabited place of lionfish. As a carnivore, lionfish will hunt for any invertebrates or smaller fish. The life span of lionfish is up to 15 years. Lionfish protects itself from predators with its fin spines. These long and sharp spines are poisonous. 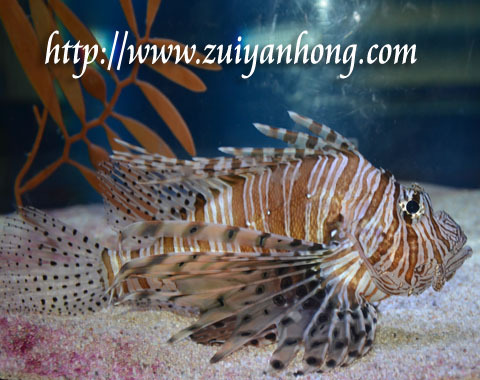 Despite of the danger, lionfish is still pretty popular as an ornamental fish.